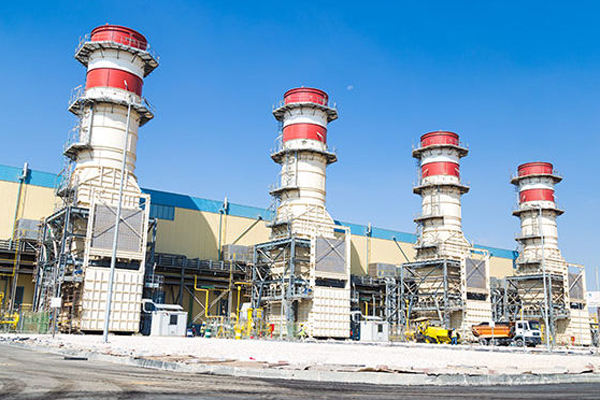 Global technology major Siemens said it has secured an extension of a multi-year maintenance service agreement from Shuweihat S2 Operation and Maintenance Company (S2O&M) for its combined-cycle power and water project in Abu Dhabi. With this new 18-year extension, Siemens will deploy products from its Omnivise digital services portfolio including cybersecurity solutions to help improve asset visibility, reliability and availability. Under terms of the contract, Siemens will get to support the 1,500-megawatt (MW) Shuweihat S2 IWPP (independent water and power plant), in the UAE capital. "With UAE’s increasing demand for energy, we are embracing new and innovative ways to improve the reliability and performance of our power assets," remarked Ramesh Kakade, the plant general manager at S2O&M. "Our agreement with Siemens incorporates the latest digital technology, ensuring more reliable and flexible power generation at Shuweihat S2 power and water plant," he noted. The German technology giant said the project would see the deployment of its new FlexLTP (Flexible Long-Term Programme), which provides a high degree of asset availability by extending intervals between inspections. The programme includes an integrated suite of advanced remote monitoring and diagnostics services, such as Asset Monitor. Using advanced data-driven analytics, this service provides a visualisation of plant asset data and key performance indicators (KPIs) for early detection of potential issues, it stated. Gianluigi Di Giovanni, the senior executive vice-presidnet of Siemens Power Generation Services in the Middle East and North Africa, said: "Digital solutions have become a strong contributor for sustainable growth in the power sector." "I am pleased that our continued relationship, combined with Siemens services capabilities and digital solutions, will support the long-term maintenance and performance for Shuweihat S2 power plant, ensuring more reliable and flexible power generation for the UAE," he noted. "One of the challenges faced by power plant operators is receiving hundreds of false alarms, caused by different factors that could interrupt operations. Utilising cloud analytics, Siemens’ I&C Monitors and Advisors can identify the root cause of false alarms and help eliminate them," he added. Siemens said by improving the accuracy and reliability of power asset measurements, this technology could increase productivity and thus, profitability. As per the deal, the company would also be utilising the Remote Resident Engineers, which allows its experts to remotely resolve performance issues and forecast maintenance needs, using a secured network and two-factor authentication to eliminate any cyber risks. The company’s cybersecurity solutions will help protect the power plant’s operations, maximize system uptime and mitigate exposure to vulnerabilities, it stated. Beyond digitalising the power services, the agreement will see the supply of spare parts, on-site inspection and major inspections on the plant’s Siemens SGT5-4000F gas turbines, SST5-6000IP steam turbines alongside the associated generators and electrical equipment, said the top industrial company.